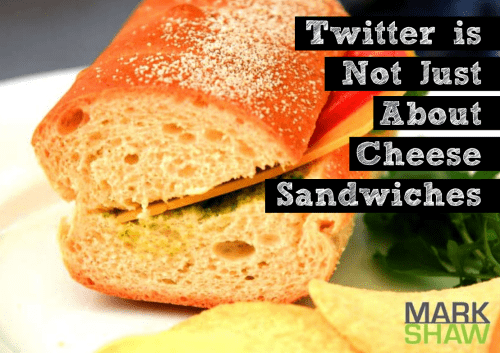 “Twitter is Not Just About Cheese Sandwiches“is the latest book from Twitter expert, Mark Shaw. This book will show complete novices to Twitter exactly how to get going. Plus anyone who is an “old hand” with Twitter, it provides some useful reminders and prompts to help you make sure you are getting the best out of Twitter. It’s free to download – and it is beautifully designed which helps enhance the easy-to-read material very well indeed. So, what’s holding you back from downloading it now….? 4 Areas Where Beginning Bloggers Bumble You should worry less about what you site looks like and more about the content you need to produce for the site.